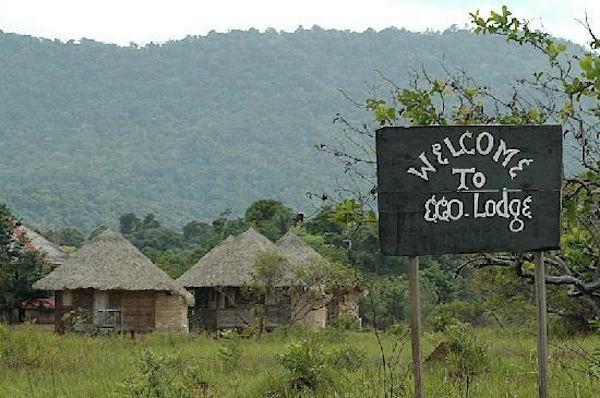 Surama village is a small Amerindian community of the Makushi people living in the north Rupununi region # 9. The word Surama, originally Shuramata, means the place of spoiled bar-b-que (or where bar-b-que spoiled). The name derived during a tribal conflict between the Makushi and Carib people many years ago. Surama village is situated in 5 square miles of savannah land surrounded by forest, hills and the Pakariama mountain range. The life of the people is in the art and understanding of how to live with nature. It is a simple and basic way of life, living according to the laws of nature. The population of 287 people lives off the knowledge of the land. Although Surama has seen many, many moons, it was only in 1974 when R.F. Allicock and T.V Allicock invited a group of friends from Kwatamang and Wowetta to join 4 families in Surama to organize a proper village system. Those first 86 souls envisioned a cooperative system which allowed better management of natural resources and harmony amongst neighbors. That system exists to this day. As director, Sydney works as a liaison to our business partners and handles marketing. Additionally, he serves the community as village councillor, Chairman of the NRDDB, member of the Iwokrama Board of Trustees, Regional Councillor, and on the LCDS committee. He was elected to Guyana’s Parliament in 2011 and was named Minister of Amerindian Affairs in 2015. For the past five years, Jackie has assumed the managerial duties, sharing them with Veronica. Also a senior councillor here in Surama, Jackie is extremely knowledgeable and a great asset. Working in tandem with Otovia, Victorine handles communication, emails, and reports, as well as trip booking. She will help you arrange activities and decide exactly what’s right for you. With us since we began in 1998, Milner is an expert in all areas. Whether traversing the forest or navigating rapids along the river, there is no safer place to be than with him. Whatever your interest, Milner can guide you there, and probably teach you something too! Jeane combines traditional meals with a western flair that would make any mouth water. When she’s not cooking or training young chefs, Jeane is an unrivaled source of local, cultural knowledge, from the many medicinal plants growing nearby to traditional music and poetry, and she is always happy to share her knowledge! Ever since we began in 1998, Veronica has worked tirelessly to ensure that everything runs smoothly at the Eco-Lodge. In addition to bookkeeping, she manages almost all other activities of the business: communication, transportation, supplies… you name it! Also with us since the beginning, Bertran takes small groups from camp to camp. His friendly, open demeanor welcomes everyone he meets. He is happy to talk, and answer any questions you may have, All you have to do is ask! An experienced driver, Rensford pilots a Bedford Truck, able to comfortably carry twenty people plus bagagge to the destination of their choice! Also handling small groups, Ricardo will ensure that you arrive at your destination safely, and on time. 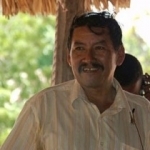 With us from the beginning, Francis is always a friendly face around the ecolodge. If there’s a problem, Francis can fix it! Striving to make your experience here enjoyable, Berlinda will see to all of your needs. In addition to her normal duties, she works in the kitchen, hoping to become a chef.